This wedding rsvp template is part of a lovely wedding stationery pack that includes an olive branch on both the invitation template as well as de save-the-date template. The whole pack looks really sophisticated and elegant. The golden color of the font gives it the finishing touch. Looking for a more colorful wedding rsvp? 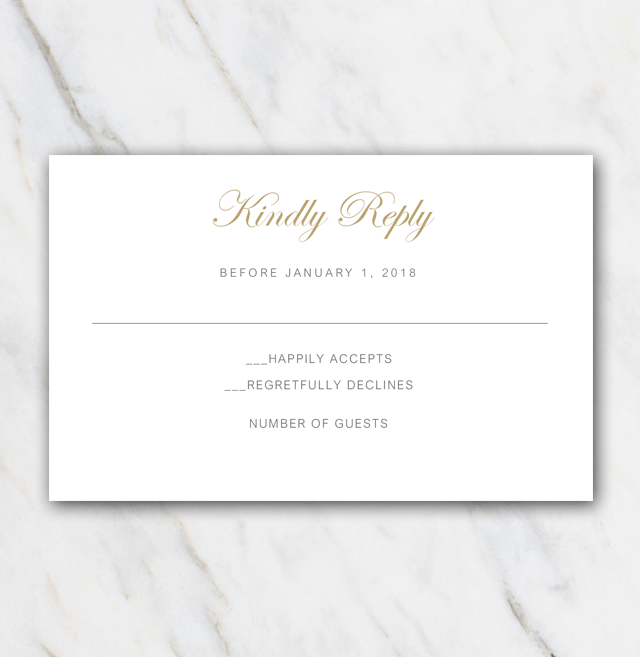 Not a problem at all, just have a look at the rest of the wedding rsvp templates and pick your choice.